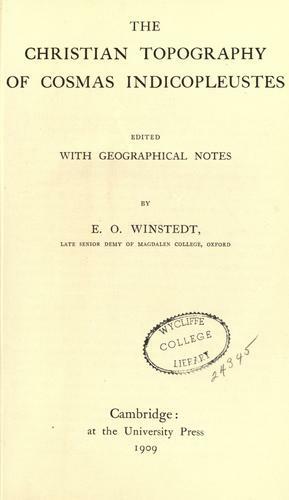 1 edition of The Christian Topography of Cosmas Indicopleustes found in the catalog. Add another edition? Are you sure you want to remove The Christian Topography of Cosmas Indicopleustes from your list? 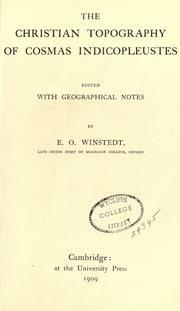 Published 1909 by University in Cambridge . a work partly based on his personal experiences as a merchant on the Red Sea and Indian Ocean in the early 6th century.